To make sure you have the best possible experience while visiting new cities, get started by reading these simple tips about setting up your chum around and interacting with your future hosts. 1. 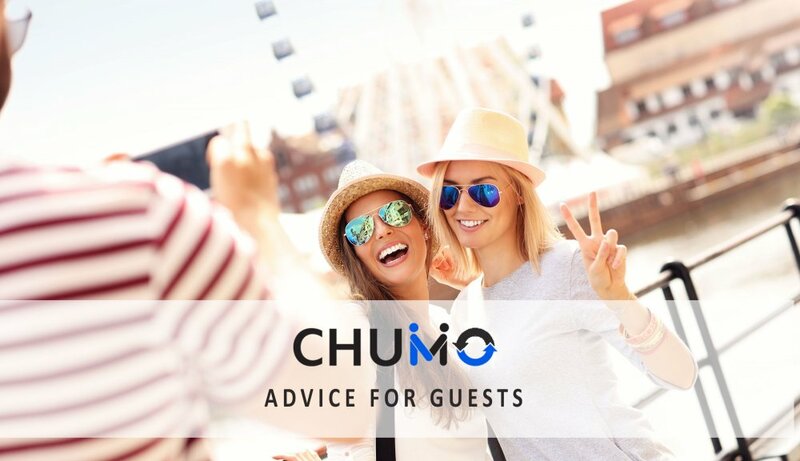 Update your profile page: Chumaround provides a unique service compared to many travel related platforms, because we allow both the guest and the host to make a mutual decision on whether they will meet and chum around together. As a guest, you will be able to review the profiles of local hosts and then send a booking request for the specific dates and times you’re interested in visiting their city. The potential hosts you contact will not only check their availability, but they will also review your profile description and interests. If they discover you both have similar passions, then it’s more likely they will accept your booking request. 2. Make it easy for people to recognize you: When you meet your host for the first time, it’s important it’s easy to find each other. From your profile page, make sure you upload a recent photo that makes it easy for people to recognize you. This photo should be a photo of only you; from the shoulders up; no sunglasses; no pets; and most importantly– a big smile! 3. Search for hosts with similar interests: Chumaround makes it easy to connect with people who have similar passions to your own. When you connect with like-minded people you’ll be able to experience a city your way and do the types of things you most enjoy. Start by searching for a hosts that shares similar interests. Once you narrow your search, you can learn more about the host by reading their listing and profile pages. You’ll find that when you connect with people with similar interests, you’ll be able to have an amazing experience and make real friendships everywhere you go. Meeting new people and turning them into lifelong friends could be the best part of your visit. 4. Contact multiple hosts: Increase your chance of connecting with a local host by sending booking requests to multiple hosts at once. You will have the opportunity to choose an offer that is the best fit and value for your needs. It is also important to realize that not all hosts are available for the selected dates and hours you may want to chum around. 5. Mark Chumaround email alerts as – Important: When you communicate with hosts on Chumaround, you’ll receive a message alert on your dashboard, and we’ll send you an email letting you know a host has responded to your request. To make sure you receive these emails, it’s extremely important that you login to your email account and designate all messages from Chumaround as “Not Spam”. 6. Create a game plan: Before you connect with your host, make sure you talk about your interest and get suggestions on things they recommend you do together. Knowing the duration, routes, places to visit, timing and possible meeting points will save time and make things run more smoothly. Make sure you also ask about any additional expenses that are not included in their price, such as transportation, entrance fees or any third party services. 7. Keep communications on Chumaround: We strongly recommend to communicate with your host via Chumaround to make sure there is a record of your interaction in case of any disputes that may arise. Contact your hosts whenever you need to inform them about any changes to your plans. 8. Consider leaving a tip: Tipping is never mandatory, but if your host really entertained you and provided an amazing experience then showing your gratitude is always welcome. 9. Write a review: Reviews are critical for helping Chumaround to grow as a credible and trustworthy community and are especially valuable for local host who want to build their reputation and experience. Hosts are appreciate when you ‘rate’ your chum around experiences, because it helps give them an idea of what worked, what didn’t work, and how they can improve their service. When you review your experiences with your hosts, you enable the community to make more informed decisions. 10. Follow the Chumaround Blog: You can chum around with local host when your on vacation, a business trip, relocating, or just hanging out in a nearby city. To get the most from each and every new chum around, we highly recommend you follow the tips and suggestions on the official Chumaround Blog – “The Art of Chumming”. Always be the first to know when a new post hits the blog. Enter your email address here.